Brazilian wing-back, Dani Alves has reportedly agreed a two-year contract with Manchester City and a move is expected to be confirmed once his contract situation at Juventus is resolved. The player met with Juventus chiefs on Monday afternoon to establish an exit plan. 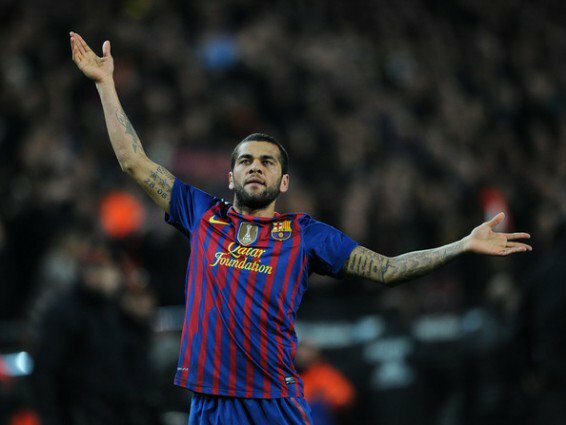 Manchester City had shown willingness to pay a relatively low amount to sign the former Barcelona man, now thought to be around £5 million, though Alves could yet rescind his contract with the Turin club and join on a free. Although those final details are yet to be ironed out, Goal reports that Alves has already reached a verbal agreement with City over the terms of a two-year contract. It is reported in Italy that he will earn around £4.3m per year, which works out at roughly £85,000 per week – the same wage offered to Nolito last summer. According to Gazzetta dello Sport, Alves earns roughly £60,000 per week plus bonuses in Juventus, having previously taken home £100,000 a week in Barcelona.